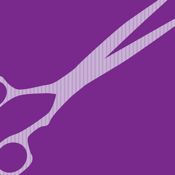 A simple cost effective safety system designed specific for hairdressers. Provides your company with the ability to create your salon specific safety policy, outlines roles and responsibilities, and details the hazards and controls in your salon and emergency response. Once your company details are added you can use the APP to induct your workers and email a copy of the system and worker details for your records. These can be filed electronically for a paper less system or printed.